Understanding how to cool down, slow down, and engage the naturally occurring conflicts among team members is critical to the ultimate success of a team. 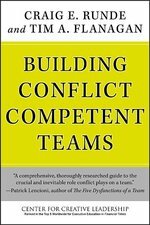 With this book, your team and its members will gain a deeper understanding of how conflict emerges and how to respond in ways that will leverage conflicts to their advantage. Team members will learn the importance of establishing a safe team climate, agreeing on processes to guide interactions, and use of constructive communication skills in order to develop a conflict competent team. As the authors say, conflict is not to be avoided, but embraced and explored. This often results in new, previously unimagined opportunities, solutions and results. The authors include stories, interviews, and examples that provide entertaining and thought provoking insights. 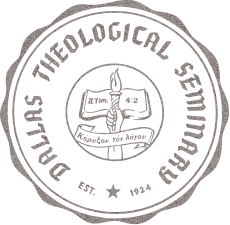 They dedicate one chapter to techniques and processes for addressing team conflict that has gone awry. 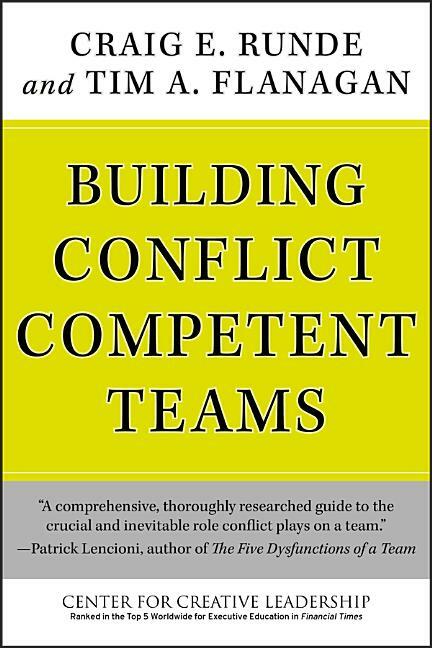 Runde and Flanagan also include useful tips and tools for assessing your team's current state of conflict competence and suggestions for addressing the challenges of today's virtual and geographically dispersed teams.